We’re sharing The Forum with our whole Festival audience, even those who are unable to make the events! Check out our livestream channel and join the conversations as they happen. 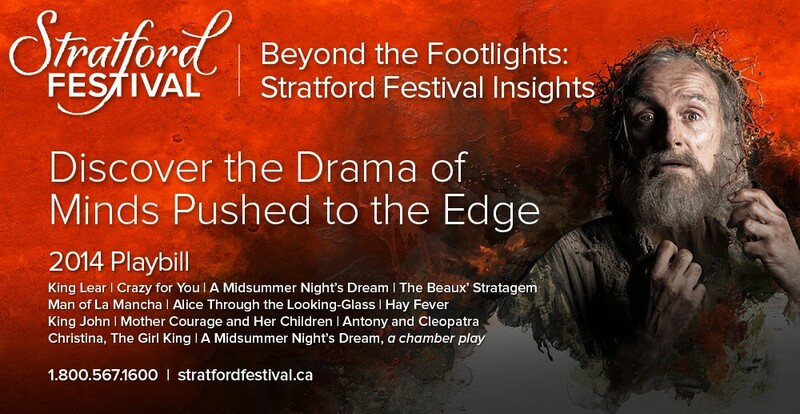 You’ll find us at new.livestream.com/stratfordfestival. 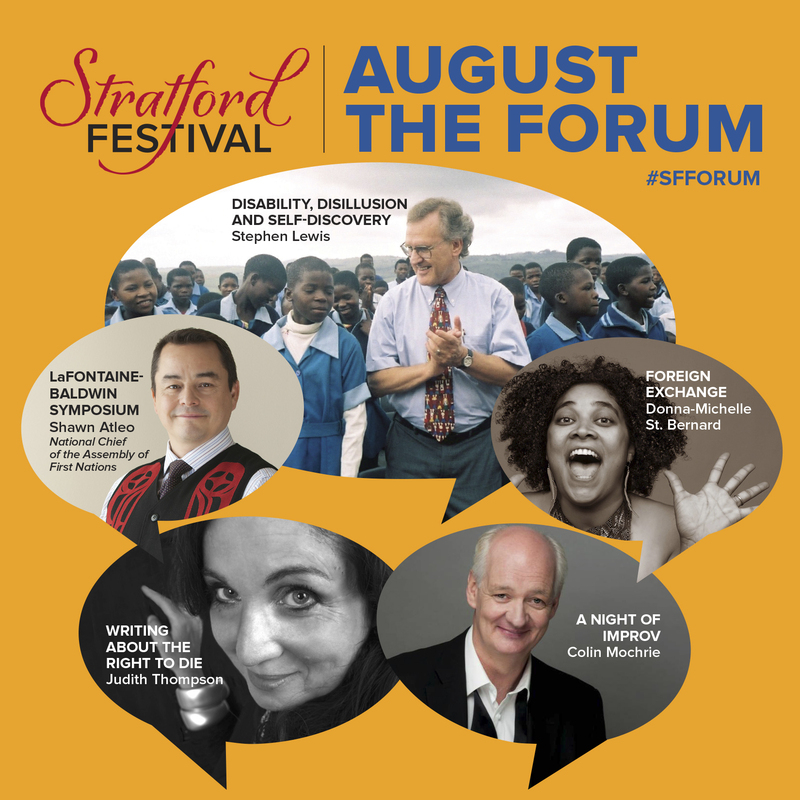 The Forum is a new series that showcases some of the world’s greatest thinkers and entertainers in activities and events designed to make a visit to Stratford an immersive, all-encompassing cultural experience. 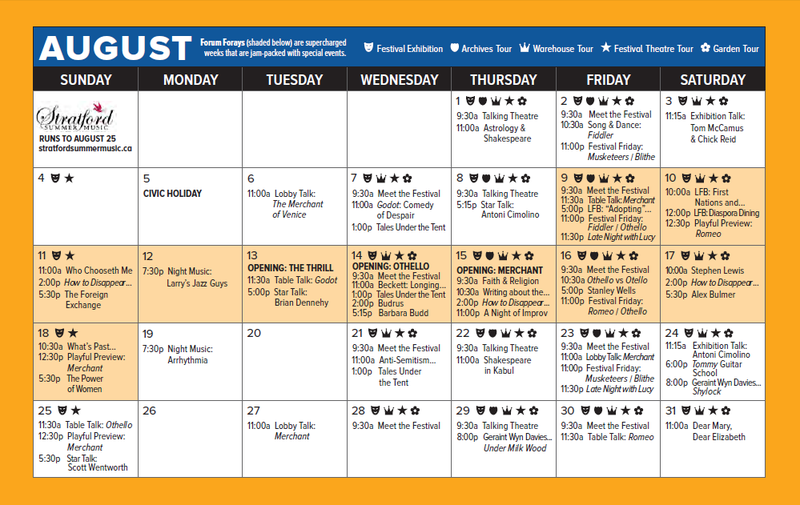 These events are an exciting way to discover and examine the themes running through this season’s productions, and we don’t want you to miss out! The month of August offers seven sessions for you to enjoy in the comfort of your living room, on your laptop or even on the bus using your mobile phone. If you’re not able to tune in for the real-time streaming, you can always catch the archived recording after the event. Avon Theatre, Saturday, August 10, at 10 a.m. 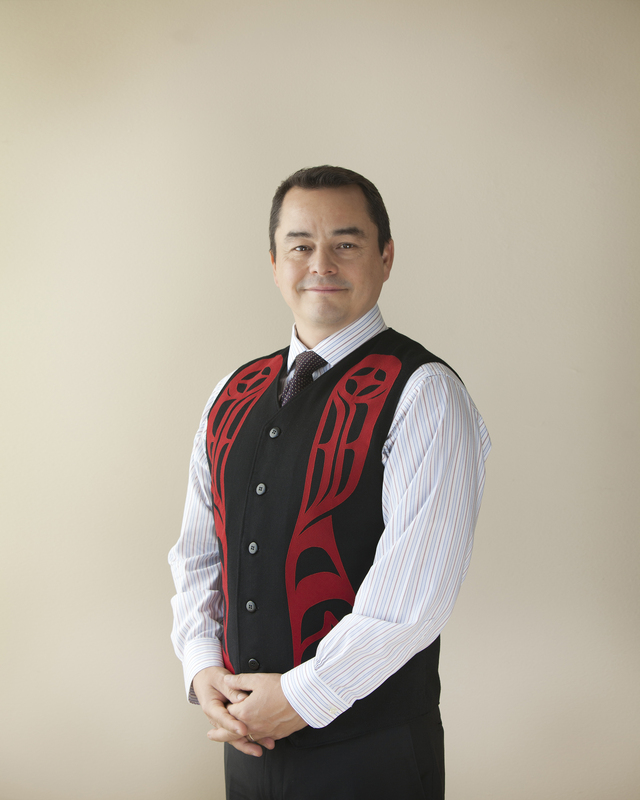 The 11th Annual LaFontaine-Baldwin Lecture, delivered by the National Chief of the Assembly of First Nations. Introduced by John Ralston Saul. Honorary “Foreign Ministers” are invited to illuminate and ignite candid conversations about race and culture. With journalist, broadcaster and author Ian Brown (The Boy in the Moon), playwright and lighting designer Itai Erdal (How to Disappear Completely), author Zoe FitzGerald Carter (Imperfect Endings) and playwright Judith Thompson (The Thrill). Moderator: Alex Bulmer. Studio Theatre, Friday, August 16, at 5 p.m.
Stanley Wells is Honorary President, Life Trustee and former Chairman of the Shakespeare Birthplace Trust, emeritus professor of Shakespeare studies at the University of Birmingham and general editor of the Oxford and Penguin Shakespeares. Avon Theatre, Saturday, August 17, at 10 a.m.
Leader of Ontario’s New Democratic Party in the 1970s, Stephen Lewis later became Canada’s ambassador to the United Nations and the UN’s special envoy for HIV/AIDS in Africa. He is currently the Board Chair of the Stephen Lewis Foundation. Saturday, August 17, at 5:30 p.m. Studio Theatre, Sunday, August 18, at 10:30 a.m.
With artistic directors Antoni Cimolino, Jackie Maxwell (Shaw Festival), Peter Hinton (recently of the National Arts Centre) and others. Chair: David Prosser. Join the conversation online using hashtag #sfForum. For a full listing of all of the Forum events you can get involved with this month, visit our website!